A line of eager voters outside of Reedsburg City Hall extended out the door before the polls even opened Tuesday morning for the midterm elections. That meant it was going to be a busy day, said Louis Miller, a longtime chief election inspector for the city. "We’re expecting as big of a year as 2016," Miller said. "Rain can slow things down, but hopefully, it doesn't last all day." Miller has a strong gauge of what's to come on Election Day. He has worked nearly every election for the city for more than 15 years — at least he thinks it's been that long. He said he hasn't kept track. Miller is a chief election inspector, which means he is the first line of defense, said city clerk Jacob Crosetto. When poll workers or voters have questions, Miller has to be ready with an answer. At 75 years old and a native of the community, Miller knows it well. Within the first few minutes of the doors opening, he already greeted several friends walking in to cast their ballots. "The city is growing for sure," he said. "It has good industries here and good schools, it’s a nice town … there’s a good feeling." 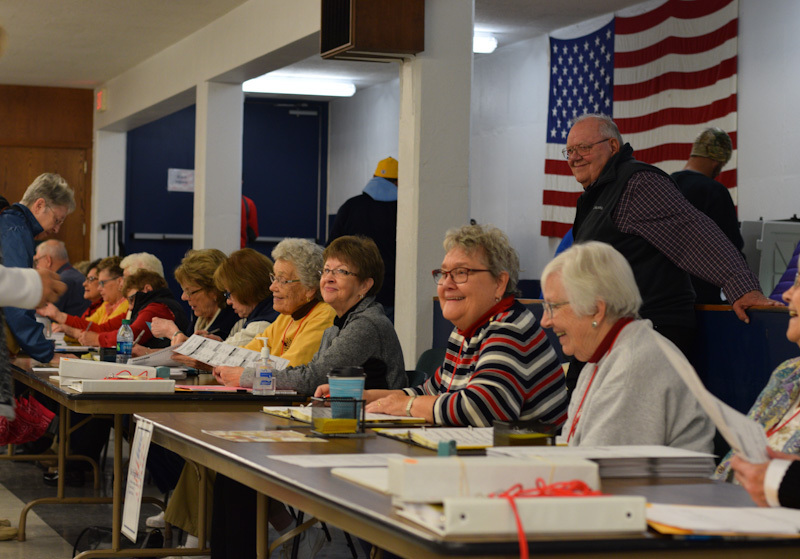 Located about 55 miles northwest of Madison, Reedsburg is home to just shy of 9,500 people, 6,500 of which are registered voters, Crosetto said. So far, about 800 absentee ballots have been collected, with about 100 outstanding until the end of the day, Crosetto said. The city has seen 200 new registered voters since after the August 2018 primary, he said. That number, along with the line out the door Tuesday morning, surprised Crosetto. 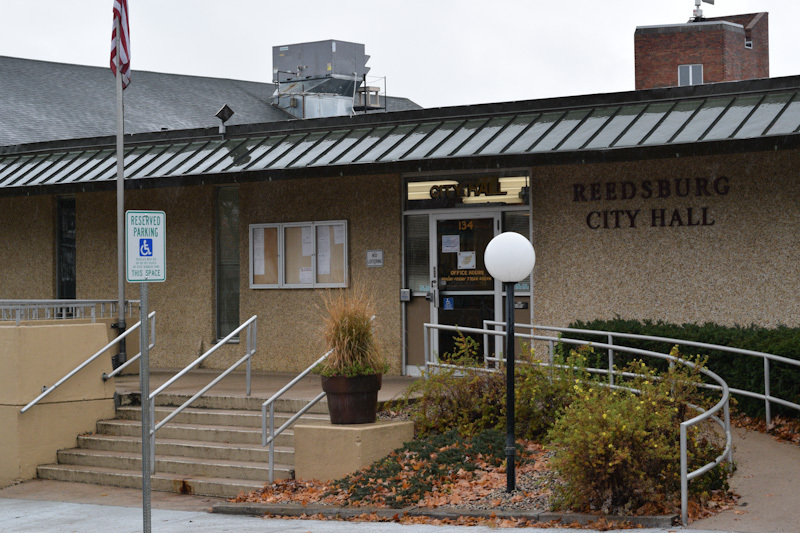 Reedsburg typically votes red, but not by much, Crosetto said. He expects turnout to be on the same level as the 2016 election, but which way it falls is up in the air, he said. "I honestly don’t think anyone has any idea how it’s going to go, just like 2016," Crosetto said. Mornings are the busiest on Election Day, Miller said, the bulk of which is often teachers and parents. Another rush will come at lunchtime, then again at the end of the day. Miller said it's exciting to watch the democratic process unfold. While some might find the rules around elections confusing or hard to keep up with, Miller just shrugs and said it’s not so bad keeping it all straight. As a chief election inspector, he completed a baseline training course through the state and has to complete six hours of training every other year to keep his certification. He mostly stands behind the poll workers with a smile on his face — happy to be doing his part, he said. He's ready to jump in when a voter doesn't remember which district they live in, overvotes or casts a provisional ballot. At the end of the day, he said he'll verify the ballot machine hasn't been tampered with, along with the city clerk. His main concern is making sure everything runs smoothly. He doesn't get very worked up about election security or voter fraud concerns. And things do go smoothly — minus the occasional voter walking off with a pen from the voting booth. The system appears a well-oiled machine. Almost all of the 22 poll workers, five men and 17 women, working the early shift from 6:30 a.m. to about lunchtime have been doing it for years. Most are retired and active members of the community. "A lot of people come together for this and enjoy it," Crosetto said. "They know each other and do it with their buddies and have a chance to catch up." Miller worked for a Chrysler dealership before he retired. Since then, Miller has also served on the city finance committee and drives a car for the county. Election Day is a long day for Miller as he'll stay until the polls close at 8 p.m. Poll workers on the second shift will be there until all the ballots are counted, Crosetto said. 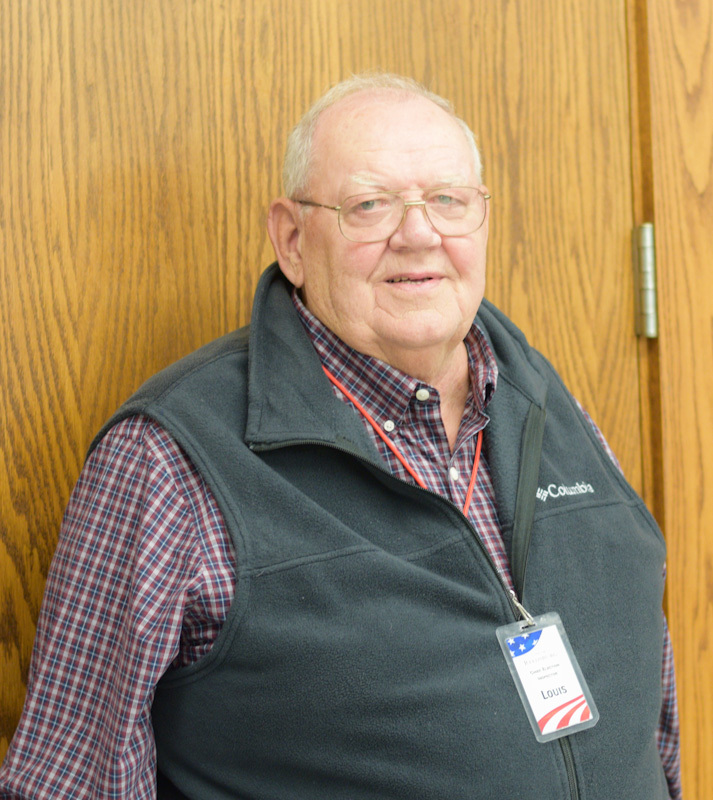 "If we get all the absentee ballots entered through the day, we'll be done by 10:30 (p.m.) or 11 (p.m.)," he said. "The (2016) presidential election, we didn't get out until about 2:30 a.m."
Poll workers are also trained to be ready for things going wrong, Crosetto said. They recently had a training on what to do if a car were to drive into the building. That said, 95 percent of the time, the worst that happens is a voter being counted twice, he said. Something, Crosseto said, will be solved with electronic poll books given to the city by the Wisconsin Elections Commission this year. Crosseto is hopeful the city will be able to use them in the next election — the Elections Commission prohibits using them for the first time in a gubernatorial race. While there’s no doubt the job has changed since he first started, Miller takes it all in stride. For his part, Crosseto said the biggest challenge has been resistance to a more electronic system. And at a time when the job is becoming more complicated, filling those positions is becoming more of a challenge, Crosetto said. "We’re grateful for the poll workers we have, but people are aging out faster than we can recruit," Crosetto said. "Frankly, most are retired and getting older and maybe unable to sit for the entire shift." In Wisconsin, to work at the polls you have to be either 18 years old or a high school student who resides in the city. While there’s no prescribed training, Crosetto has one-on-one meetings with those who are interested, going over the duties and election handbook. Every other year he and the city deputy clerk hold a training for all poll workers. Crosetto said he hopes that through talking with teachers and greater engagement in the political process they’ll be able to encourage another generation to get involved. As for this election, Miller is on track to accomplish his main objective. "So far, it’s all going smoothly," he said. Should You Trust The Polls In 2018?